This is the home you've been waiting for! Beautifully maintained on one acre with two large shops! Bring your toys and projects, plenty of room for both. 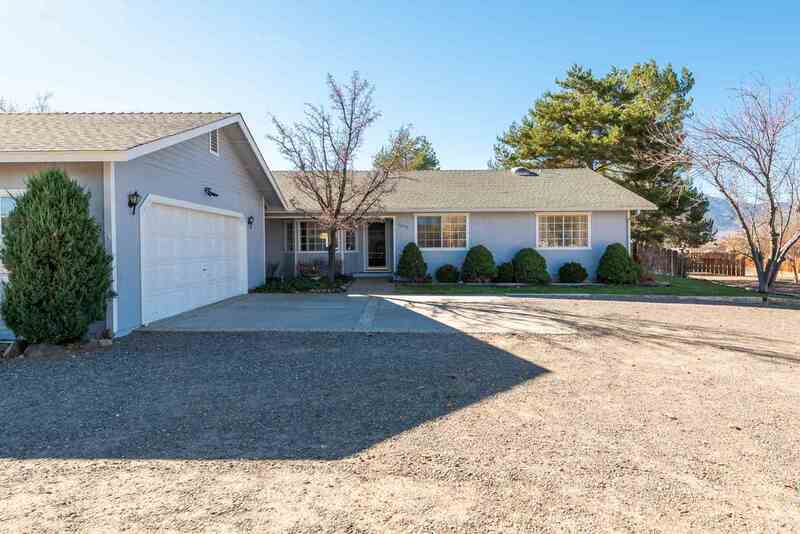 This home is a spacious 3 bedroom with a light and bright open floor plan. It also features a cozy wood stove in the family/living room as well as a large laundry room with cabinets shelving and a large pantry. His and her closets in the master, and an extra sliding door off of the guest bedroom to stroll out onto the deck with your morning coffee.